These intrepid little insects aren't picky about where they set up shop – luxury suites and hospitals, public housing and rich neighbourhoods are all equally attractive to them. Given that bed bugs like to hang out where people congregate in the largest numbers, however, they prefer the city over the country. The bed bug, Cimex lectularius, is a small insect, generally 6mm in length (about a quarter inch). It feeds exclusively on human blood and has great sensory capabilities that allow it to detect its prey even in complete darkness. The insect's biology reflects its role as an external parasite: high fertility (a single female can lay up to 500 eggs), the ability to resist deprivation (it can go three months or more without feeding) and high mobility. 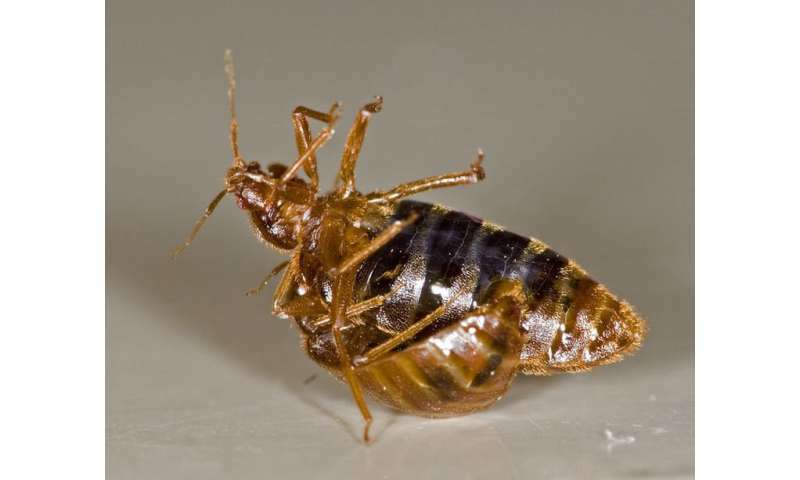 While the bed bug long ago lost its wings, it's perfectly adapted to be transported by its hosts and their belongings – it can hitch a ride on clothing, furniture, luggage and more. Another peculiarity that may explain the bed bug's success is its curious mode of reproduction – males inject their sperm directly into the abdomen of females using a syringe-like organ, a process called traumatic insemination. To locate others of its species, and thus regroup, bed bugs have an effective chemical ecology, including an odour that humans can smell. Blood meals are needed for the adults to lay eggs and for the larvae to complete their development. The insect's bite and its saliva causes itching and allergies, as well as social phobias and even outsized fears. But rest assured: even in the most highly infested setting, the bed bugs' small size means that they only withdrawn a tiny quantity of blood – there's no risk of anaemia, even if our discomfort remains. But why does this darn bug "love" us so much? Part of the family Cimicidae, this strict hematophagous – meaning "blood eating" – insect can only survive thanks to hot-blooded hosts. Some specialize in bats, others on birds. Two are particularly fond of humans, C. lectularius and C. hemipterus. 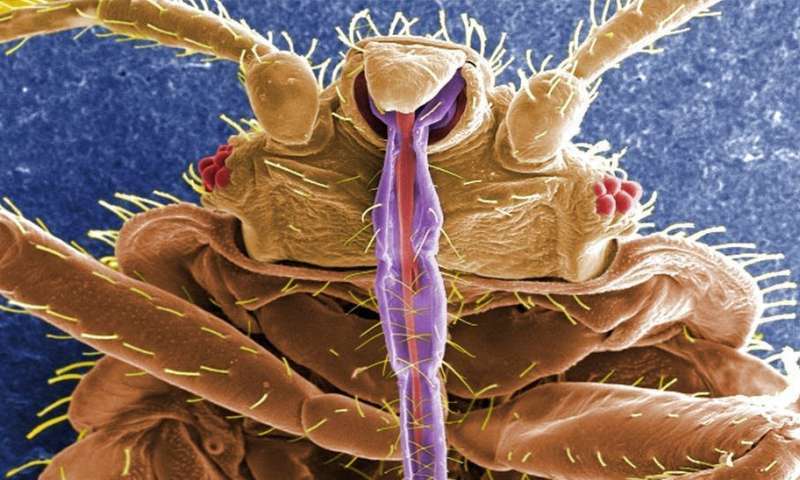 All bed bugs are equipped with mouthpieces that have been transformed to bite through the integumentary system of its host – the skin, fur or feathers that protect it. All the species of this family (there are about a hundred in the world) live at the expense of their hosts, and feed on them in their nests or special habitats such as caves. It is thought that bed bugs' developed their fondness for humans and their blood during this time. They then hitched a ride with us on our migrations during warmer weather, and a true domestication – known as commensalism, to be precise – was established. While still theoretical, this hypothesis is supported by genetic analysis of two lineages of bed bugs: one feeds off bats, the other off humans. There is also archaeological evidence of the presence of Cimicidae in early human settlements. And looking farther back, the first known Cimicidae, found in Burmese amber dating about 99 million years ago, had wings. This relative long history is perhaps only the beginning, because it seems that there has not yet been an adaptation of human pathogens to take advantage of this "new" vector. While the bites of bed bugs are unpleasant, they're not particularly dangerous. This is a crucial problem: if the viruses bacteria that infect humans could be transmitted through bed-bug bites, what does the future hold for us? While bed bugs had followed humankind and lived off our blood for millennia, beginning in the 1950s we got the upper hand through improved living conditions and the use of synthetic insecticides. The bed bugs simply bided their time, and were able to make a comeback thanks to a phenomenon known as pesticide resistance. This has allowed them to progressively rebuild their populations and reconquer territories from which they'd been banished. Any new pesticides would inevitably fall victim to the same process. Our increased ability to travel has also played a role in the bed bugs' return, as well as the psychological and social stigma associated with infestations. For example, if bed bugs move into your town's luxury hotel, are its owners likely to want big red pest-control van out front? Not particularly. While bed bugs themselves are preyed on by spiders and centipedes, any kind of biological control would be complex to implement. Indeed, despite such predators' proven effectiveness, it seems counter-intuitive to release even more insects in your house to fight bed bugs. Thus while bed bugs aren't particularly nice companions to have, there are ways to fight back, and for now at least they don't spread serious diseases. But this situation could change and it's worth considering improving how we control these unwanted guests. But there's one aspect – albeit a slightly gruesome one – where bed bugs could remain useful: Because human DNA can persist for up to 90 days after a blood meal, police investigators could potentially use them in criminal investigations. 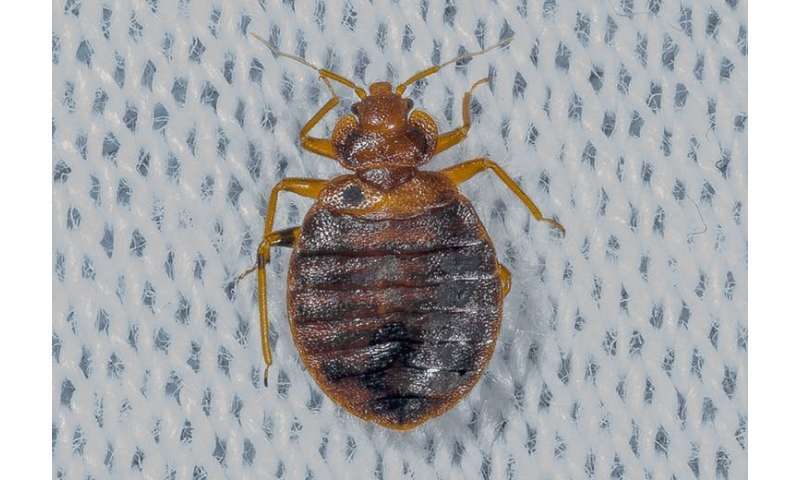 The bed bug could thus help found a new branch of police science, "forensic hematophagy."